I have always loved to travel and when I turned 40 decided I had to do something that gave me credibility. I came from a family of national and provincial sportsmen and women and I was the only one who could not do hop scotch without falling over. Climbing Kilimanjaro became my goal. I was going to do it with my then business partner but he fell and broke his ankle and it was off. I thought that this way maybe a sign until one day when a very dear friend of mine, Des Morehen, phoned to ask if I still wanted to climb Kili and I said on condition we book and pay now. Two weeks later we had booked and paid and the preparations to climb the highest mountain in Africa began. Des and I were fortunate enough to summit and with that came a whole new challenge to constantly find different adventures. The following year we walked the Great Wall of China and here we had to raise funds for a charity of our choice. We thought this was a great idea and started to make this the norm. Out of our love for Adventures and helping others Adventures for Love was formed. We are a group of 14 girls who love drinking wine but love helping those less fortunate than us. We do walking adventures every years – some local and some of us are fortunate to do some international hikes and pilgrimages. This year we are off to do 200km of the Camino. With my constant search for adventures I came across the Put Foot Rally. This is an 8000 kilometer social rally through Southern Africa. The aim of the rally is to put school shoes on children’s feet. In 2013 Neil (my husband) and I did our first rally and it was a life changing event. At the end I simply cried because I could not believe what work we had done, what friends we had made and we had completed this amazing adventure. 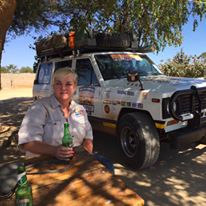 The Put Foot Rally was started by Daryn Hillhouse in 2012 and is an epic road trip adventure where incredible people from all over the world come together to explore and experience the very best of Africa. Crews in a wide variety of whacky vehicles, meet up at checkpoints located at the heart of each country, for awesome parties, and loads of giving back through hands-on charity work. On our return in our 1980 Datsun Safari we were hooked. Far richer with some amazing friends, truly incredible experiences and a desire to do the next one. Unfortunately we were unable to do the rally in 2014 but have continued to do it in 2015 and 2016 and have now been given our permanent rally number – 44 (my choice as I am a huge Lewis Hamilton fan). The rally starts in Cape Town and you head north towards Etosha over a few days. The first check point party is just outside the Etosha Park and has an animal kingdom theme. The younger generation and some of the oldies manage to go through the night and the next day is generally a very long and slow day. 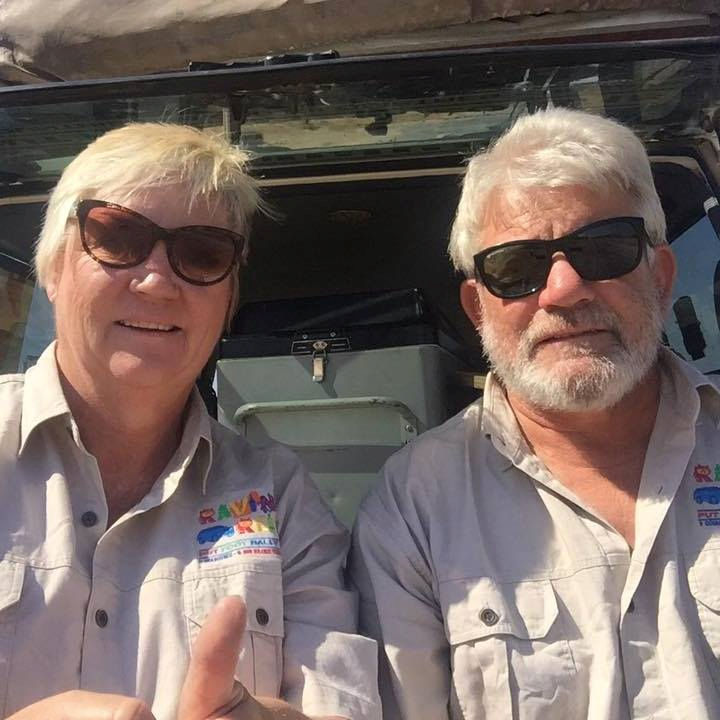 From Etosha we head across the Caprivi strip experiencing some interesting camps (including a tour of toilets at Ngepi Camp) and cross into Zambia. Because more is always the order of the day for the Reids, we head off into Botswana and Zimbabwe just to tick another country off the list. The second check point party & generally the shoes drop as well as a rest day all happens at the Waterfront Resort in Livingstone. This party is huge and has now become known as the no-pants party for the younger generation and a huge amount of fun is had by all. The second night sees many of the group heading off on an all-inclusive sunset cruise. The boat generally returns dry. From Livingstone various routes are followed and our next check in is in Senga Bay on Lake Malawi. What a magnificent setting. All the tents face the Lake and the beach. The theme for the check point party here has always been Lumo and you can just imagine the amazing themes for this party. Everyone generally knows each other well by now and it is a magnificent party. The routes from here have changed over the years purely because of the political situation in Mozambique. Finishing in Inhambane is wonderful but if it is not safe Daryn will pull the plug without a blink because the safety of the rally is his biggest concern. If we have not finished in Inhambane we have gone on to Palapye in Botswana via places like Hwange and Elephant Sands. The end of the rally is always a sad occasion but a huge party where various teams are recognized for their spirit, willingness to help and general social responsibility. The rally is not a race, it is certainly not about your vehicle or your team. 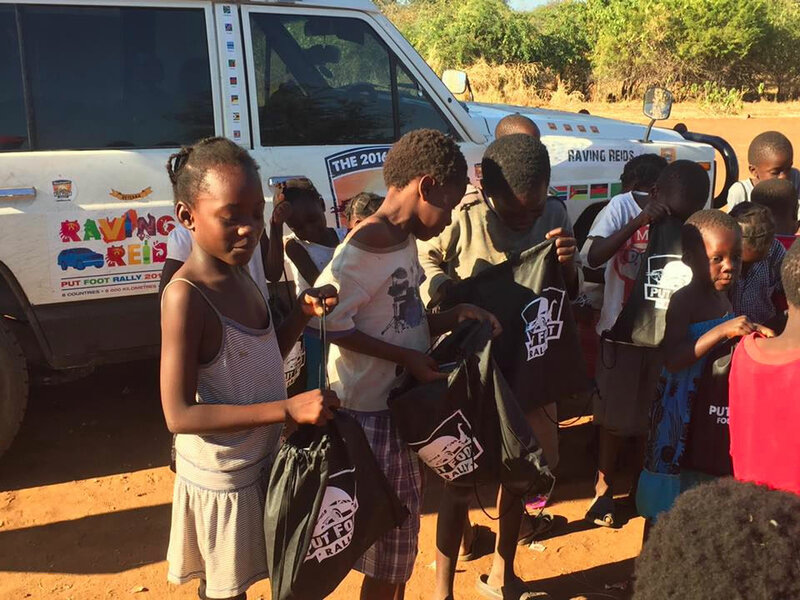 It is about travelling Africa safely, in any car and being able to give back to the community. Hello Jenny….wonderful story ! How do I get involved in this project ? Travelling for charity on a pensioners income :).